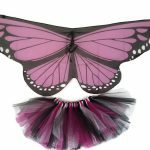 Soft butterfly monarch wings paired with a sparkle tutu create the perfect Halloween costume. Monarch butterflies are so popular. 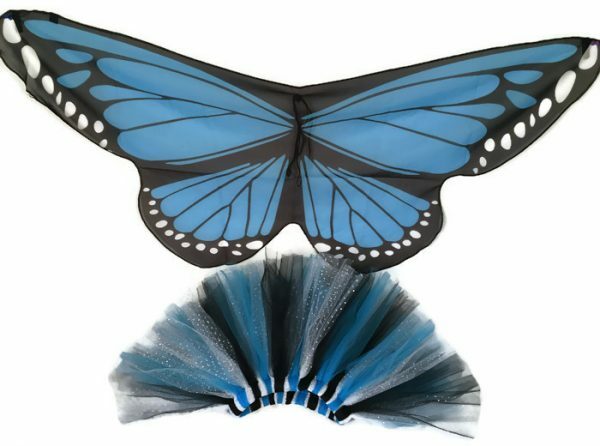 Butterfly wings create that extra touch for your Halloween costume. 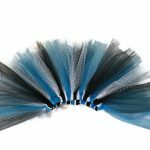 These wings are fabricated from a soft and flowing scarf. 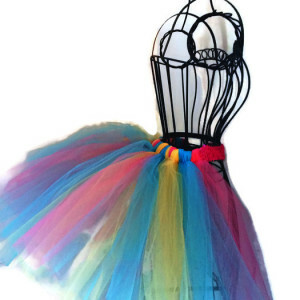 The fabric is lush made with shimery silky polyester and the colors are bold and vibrate. 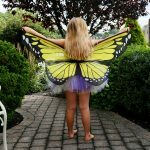 Small elastic loops are at the tips of the butterfly wings to slip on your child’s fingers, so when they open their arms the wings spread and create a beautiful vision. 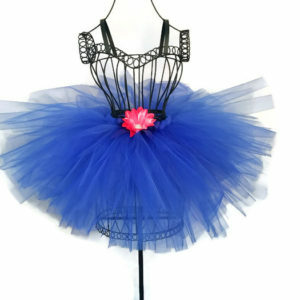 Each set of wings comes with a matching tutu. 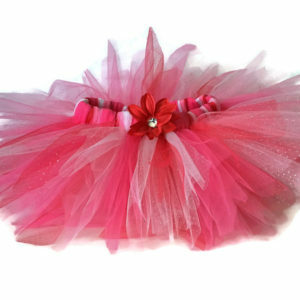 All tutus are made with a elastic non roll waist line. 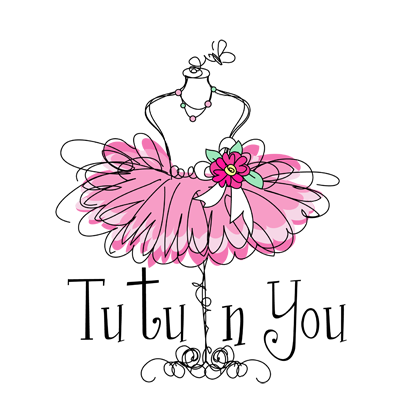 Jet black and white sparkle tulle are the base for each tutu with a sprinkle of the matching color as an accent. 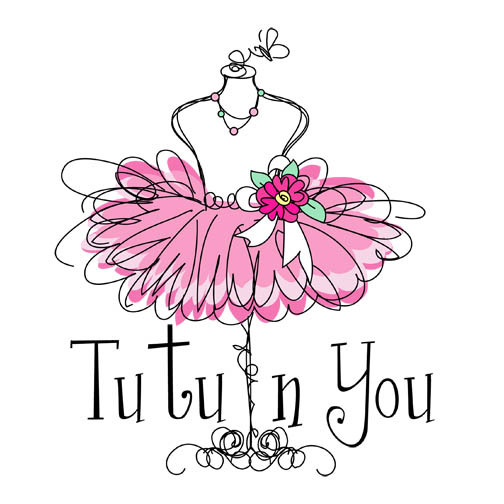 Our tutus are made with American made tulle. The absolute best quality-you can feel the difference. 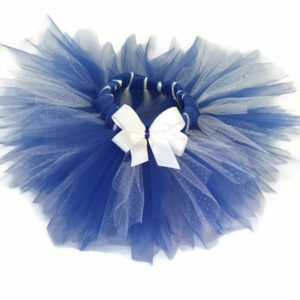 Flame retardant, diamond weave 100% Nylon. 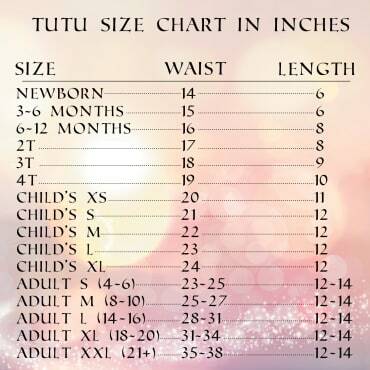 This size chart is a guideline.